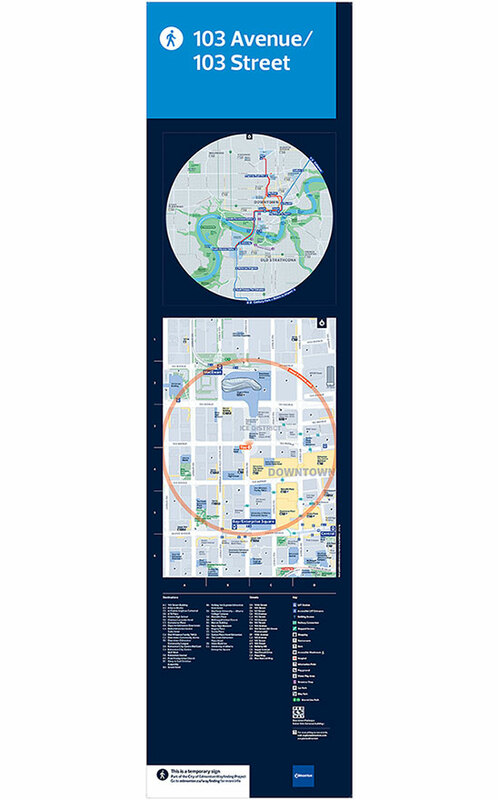 The City of Edmonton’s Wayfinding Program helps people easily locate city centre attractions, points of interest and encourages walking and exploring in our downtown core. 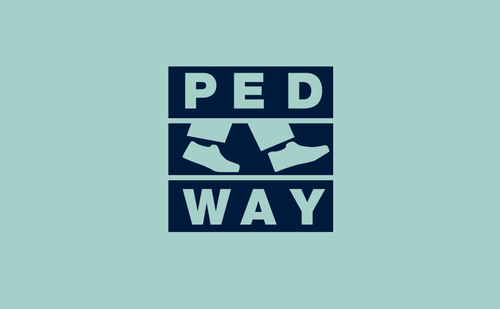 Guide to Edmonton's indoor pedway connections. Find events, projects and community walking maps. 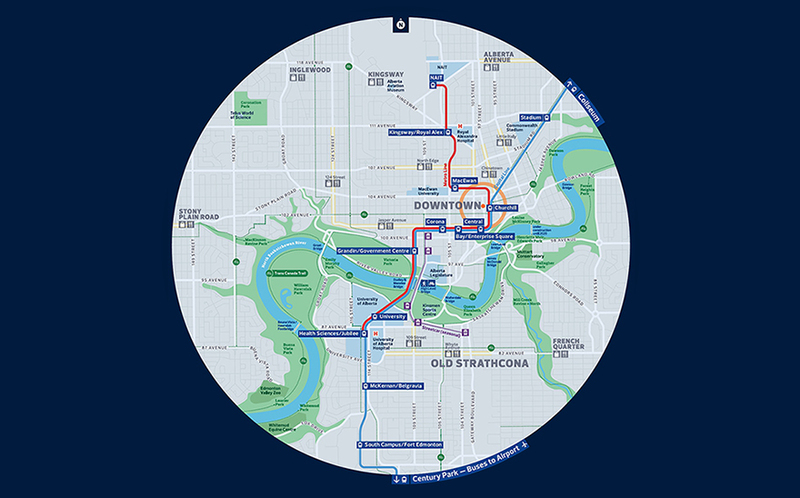 With the exciting changes to our downtown, the City recognized a need for interim signage to support the more than 3 million visits annually to the Rogers Place arena. These interim signs provide flexibility in accommodating downtown roadway construction over the next several years. 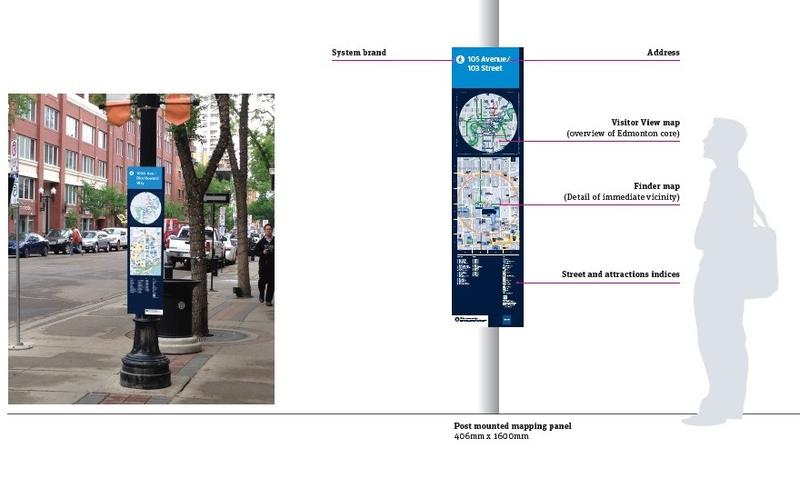 Permanent signs will be installed in 2018/19 in areas not impacted by current or imminent construction, initially in Old Strathcona, Downtown and on Stony Plain Road. 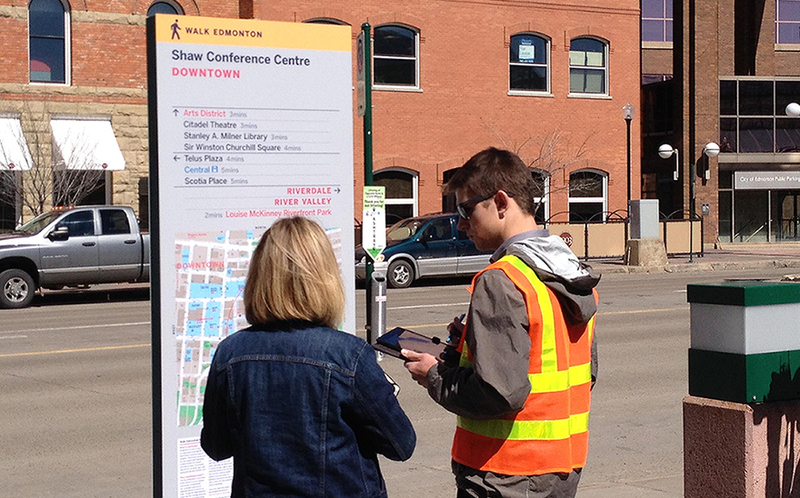 Interim signs will continue to be utilized where LRT or Streetscape construction will occur. 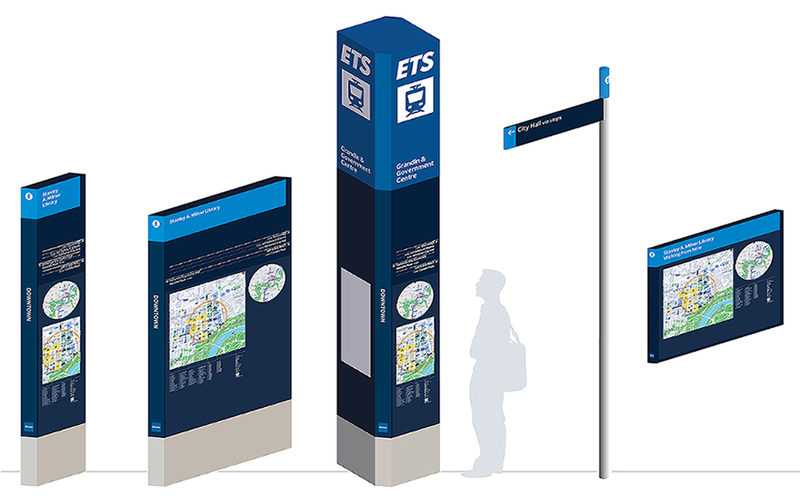 Future signage is planned for other pedestrian areas around the city, as well as at LRT stations (including the Valley Line) and transit centres. 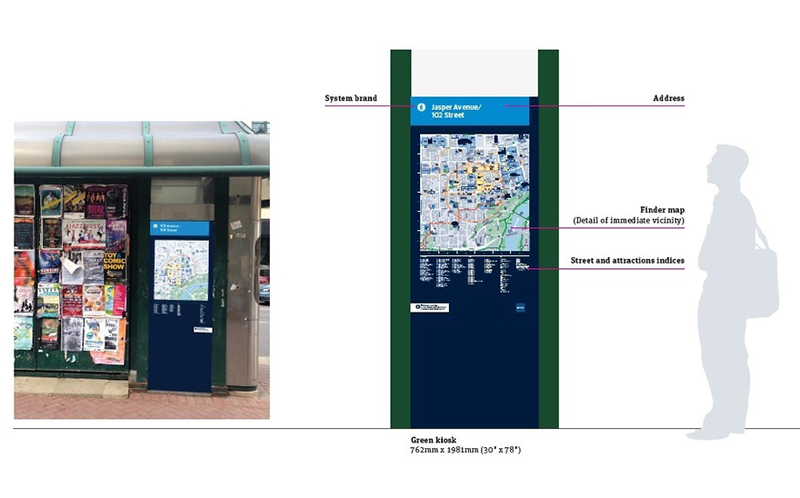 The term wayfinding is often used interchangeably with signage, but the term wayfinding is much broader and includes the design of buildings and spaces.